HTML, or Hypertext Markup Language is a markup language that became the standard for interpreting the information in a web page. HTML consists of tags, which make up an HTML document, each tag in HTML interpret the different documents content. To create or editing your html document, you can use an html editor such as Adobe Dreamweaver, CoffeeCup Html Editor or Notepad. To define the type of document is html, we use code <!DOCTYPE html>. An html document starts with a tag <html> and ends with </html> which provides information to the browser that anything is located between <html> and </html> is an html document. The text between the tags <head> and </head> is general information about the document, including defining the title also scripts and style sheets. The text between <title> and </title> defines the title of the document, this element is also used by search engines to display snippet on Search Engine Result Pages. Elements that are on the tags <body> and </body> is the content that will be displayed in a web browser. 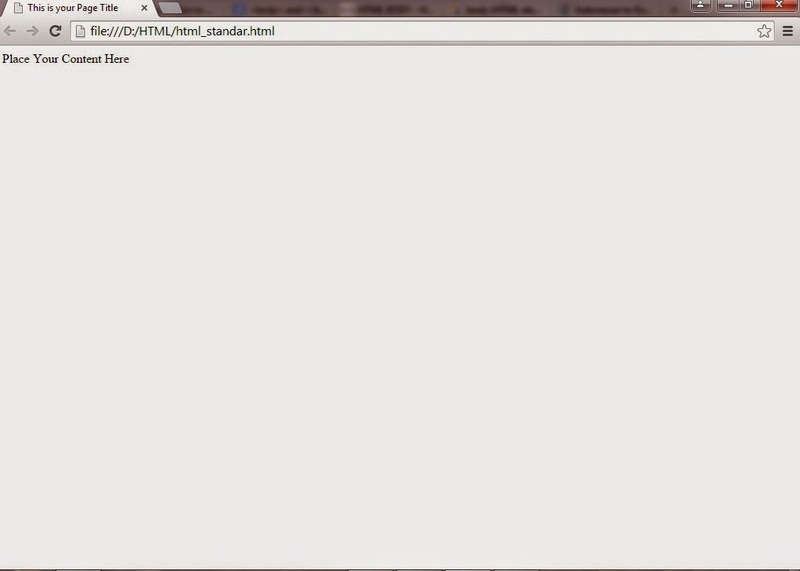 Previously we have been trying to write a simple html code. When writing the html code we write the first opening tag <html> then we immediately write the next tag i.e. <head> without giving the closing tag </html>, we continue to write the next tag until the element on the tag <body> has been completed, then we have added it's cover </body></html> latter. By way of writing like this, we will have difficulty when we write an html document consists of many elements. So, if we write a tag that has a cover, a way of writing is the opening tag and the closing tag is given immediately before writing the next tag. 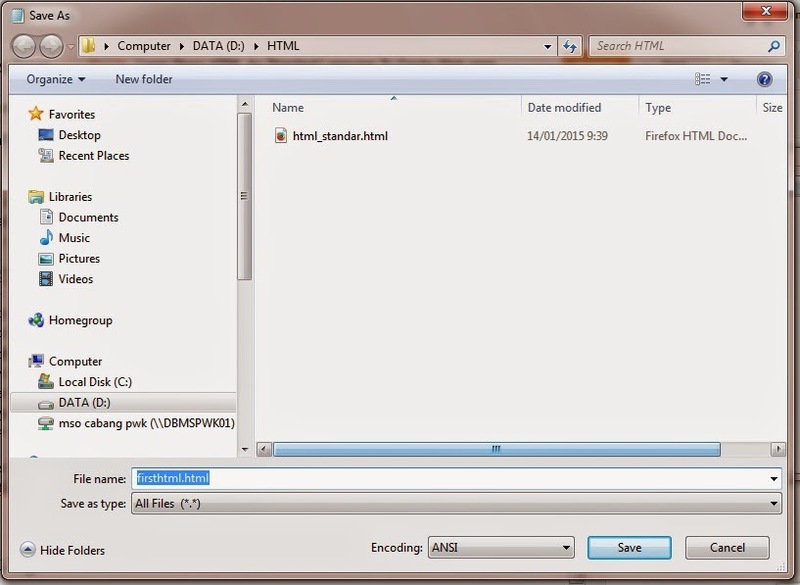 Proceed to the next content "Using tags, Atrribut and Element on the HTML Document".